After seeing “Us”, viewers might need to take a few minutes before they get out of the theater (no pun intended). Returning for his second film, Jordan Peele brings audiences into the world of Santa Cruz, California. His new film’s protagonist, Adelaide (Lupita Nyong’o) and her family go on a family vacation that turns ugly when unexpected visitors show up at night. The visitors are actually dopplegängers, dressed in red, wear a singular leather glove and carry an unusual weapon of choice: gold scissors. Get ready for an enjoyable experience if this is your weekend plan. “Us” is overall a fun horror film and will be talked about until we all start crying about who dies in “Avengers: Endgame”. The reason why it is so fun is because Peele has become the Alfred Hitchcock for this generation. He is a master of suspense. While “Us” is a horror movie because bad things are happening to mostly good people, there are many things to be anticipated throughout and it leaves the viewers wondering what is going to happen. This also, however, could be a struggle for those who have high expectations going in. In terms of fear levels, “Us” creates more of a suspense type fear, while “Get Out,” Peele’s Oscar-winning first feature film, has more of a psychological fear within. If a viewer is hoping that “Us” is similar to the type of story “Get Out” portrayed, they might be disappointed. In addition, Peele is one of those directors that makes his audience dig down in order to gain a bigger meaning of the film. While the concepts were presented more clearly in “Get Out,” audiences may have to really think it through in order to understand some of the context behind this film. Perhaps Peele goes a little too deep with this meaning as he adds lines and scenes that may confuse those who just want a simple horror film. The plot of “Us” is easily enchanting due to the choice of music. “I Got 5 on It” by Luniz will likely sink into people’s minds after a screening. “Good Vibrations” by The Beach Boys may never be the same after watching “Us.” All of these pop songs transition well with the chilling musical score. The theme in the trailer only gets played out in the film’s climax, which is disappointing because it’s just so haunting and soothing in the trailer. Most horror films lack character development throughout, but plenty of themes and storylines in “Us” can be dissected thanks to the strong cast and characters. Winston Duke, Elisabeth Moss, Tim Heidecker, Shahadi Wright Joseph and Evan Alex all stand out in their own ways by playing respective characters who have sincere, engaging and comedic moments. The clear star of the film is Lupita Nyong’o and her portrayal of two strong, powerful and, obviously, similar women. While one is clearly seen as the protagonist and the other as the antagonist, the audience should still be easily amazed by her creative performances. Jordan Peele tweeted out that “‘Us’ is a horror movie.” In reality, “Us” is a rollercoaster of drama, horror and comedy. The ride will leave you wanting more (whether that is a good or bad thing). 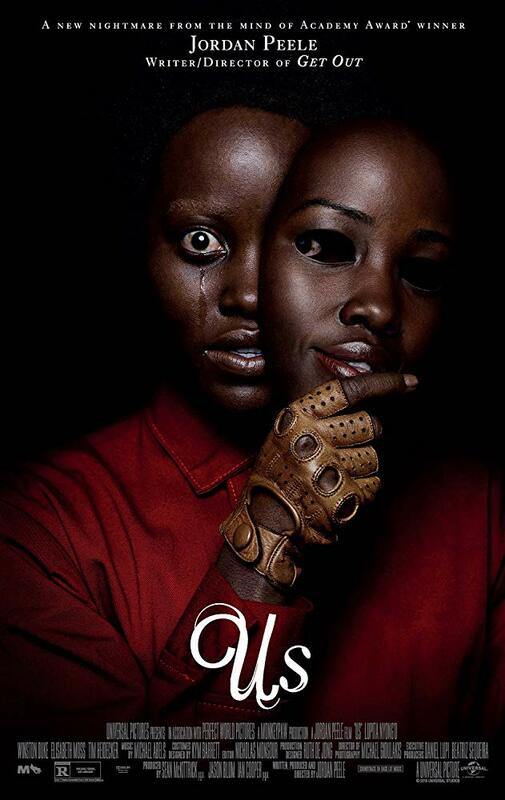 My suggestion: Don’t worry too much about the political and social commentary of Jordan Peele’s second film unless you are into those kind of things. Grab some friends, popcorn, pizza and enjoy the ride. For me the experience itself was good that a rewatch is on the way.